Although nothing warms me up better than a nice, steaming hot bowl of pho, that's not the only thing I'll order when dining at a Vietnamese restaurant. If you see grilled pork on the menu, then you're in for a tasty treat. Pho Thangs Cafe is super convenient in Downtown Cleveland right off 9th St and Superior Ave. They are open at 11am so it's great spot for lunch and, my favorite, they are open until 10 or 11 at night so you can get your late night comfort food fix. I love the grilled pork. It's a simple dish with just pork and steamed rice, but it has so much flavor. 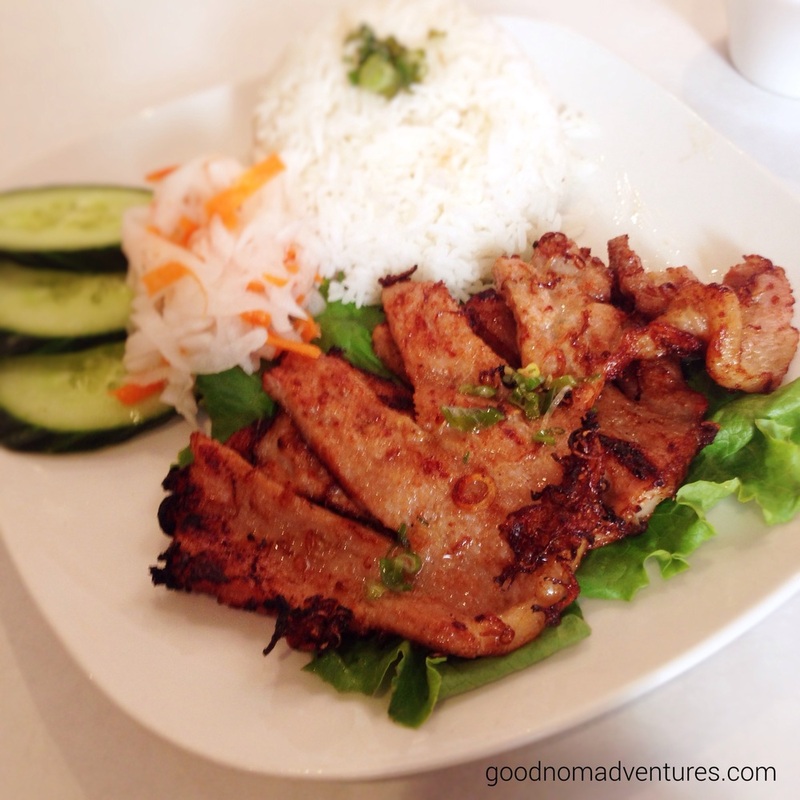 It doesn't matter which Vietnamese place I've gone to, but I've never been disappointed by the grilled pork. Pho Thang's definitely hit the spot. It was perfectly grilled and tender. It's served with a side of fish sauce that I drizzled on both the pork and the rice, which added a nice tangy and sweet flavor. At least tangy and sweet for my pallet - I know not everyone will feel the same way. I encourage you to try it because it really does add some great flavor to what you're having. You should put Pho Thangs Cafe on your short list. It's a great place to try Vietnamese that has fast service and good food.